Bubble teas, sometimes called, boba teas, come in various flavors, including taro. They are a fun way to drink tea and give you something creative to serve your guests. When observing the appearance of a bubbly tea, one could have the wrong idea that this is something that is very complicated to make at home. This, of course, isn’t true, and you will learn that if you decide to try it out. And when it comes to flavors, you can’t go wrong with taro, because besides providing you with a ton of nutrients, it also tastes delicious, giving you a chance to enjoy a mild, earthy and nutty flavors all at once. In this article, you will learn everything you need to know about taro, bubble tea and how to make taro bubble tea. Taro is a root vegetable. Depending on where it was grown, it can be purple, pink or white in color. Its sweet, nutty taste makes it popular across the globe. It is mostly associated with a potato because both are starchy and can be prepared in similar ways (e.g., boiled, baked and roasted). Taro is a very nutritious plant, because it is high in potassium, Vitamin B, and magnesium, and it provides long-lasting energy. 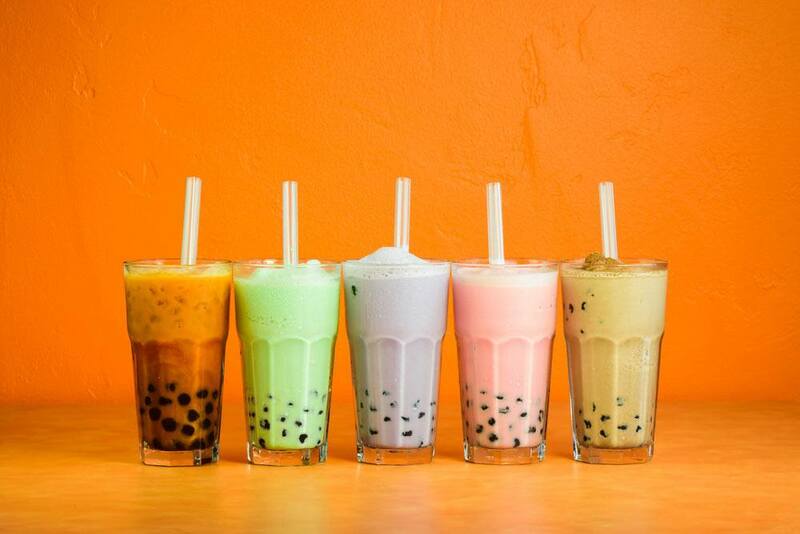 Also known as pearl tea and boba tea, bubble tea is a name for a variety of refreshing flavored milk and fruit teas, served either piping hot or ice cold, with chewy tapioca balls that are meant to drink with a straw. So, basically, it is a combination of a drink and a snack – all in one. These teas are invented in Taiwan during the 1980s, but they have reached a global popularity only in the last couple of years. In many larger cities in the U.S., U.K., Australia and other countries there are even stores devoted entirely to bubble teas, which is a huge success for this Asian drink. Typically, green tea, black tea, coffee or white tea make the basis of this drink, but as its popularity grows, there are many innovations in that sense, we see each day. Flavorings that are often added too bubble teas are cantaloupe, pineapple, passion fruit, strawberry, green apple, and others. 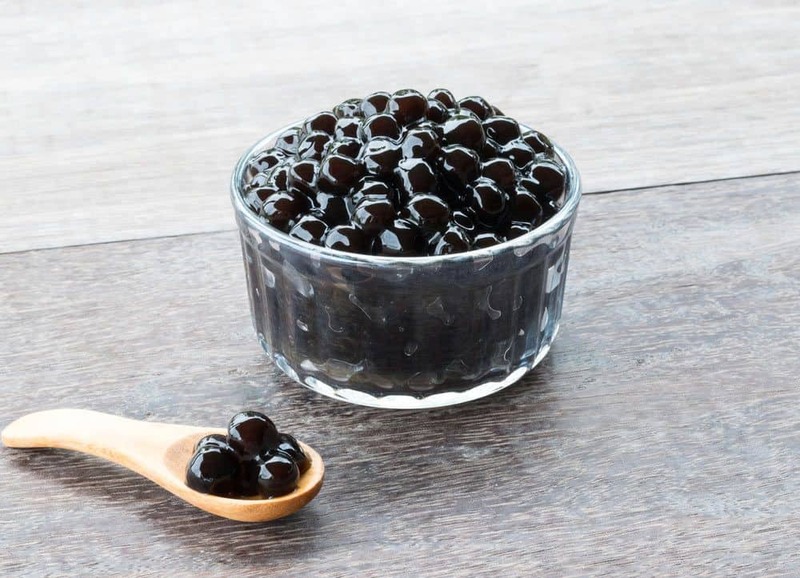 Tapioca balls are the essential ingredients of the bubble tea. However, there is a wide range of other options that are often used to achieve the similar texture, such as green pearls (green tea flavor), and various jellies with flavors such as konjac, coconut, and mango. What Do You Need To Make Taro Bubble Tea? As we mentioned the ingredients for bubble tea often vary, depending on the recipe, the base, and the type of the tea. With the classic taro boba tea, it is common to avoid the jelly variations for the tapioca balls and use the right stuff. You will also need two types of milk. One should be regular, while the other one needs to be sweetened condensed milk. As for the taro powder, you can go the easy way and buy the powder in one of the bubble tea dedicated stores or in a better-supplied grocery store. You can also make your own, but more on that later. You will also need sugar (white or brown, depending on what do you prefer), and some water. How To Make Taro Powder? 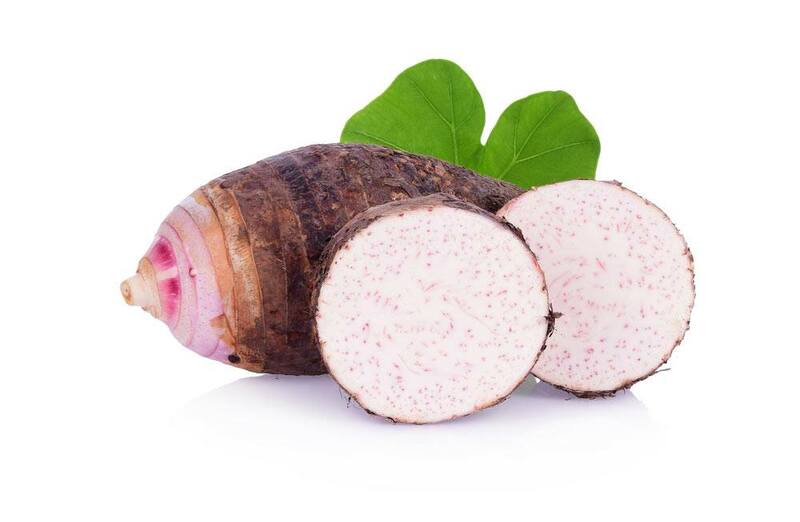 To make your own taro powder, you need to cook all parts of the plant. Traditionally, that was done in an earth oven, but today is boiling it in water is the preferred method. After that, you need to peel its skin off. Following that you should dehydrate it in the oven for about eight to ten hours. If you own a dehydrator, you can dry it at about 165 degrees Fahrenheit. Finally, you should grind to create the homemade powder. You can also make condensed milk on your own, so if you are up for it, here it goes. 1. Whisk the milk and sweetener together in a saucepan over medium-high heat. 2. Whisk often and bring it to a simmer. 3. Simmer until the milk is reduced to a half. 4. After removing from heat and whisk in the vanilla and butter. 5. Allow cooling completely until you use it. 6. 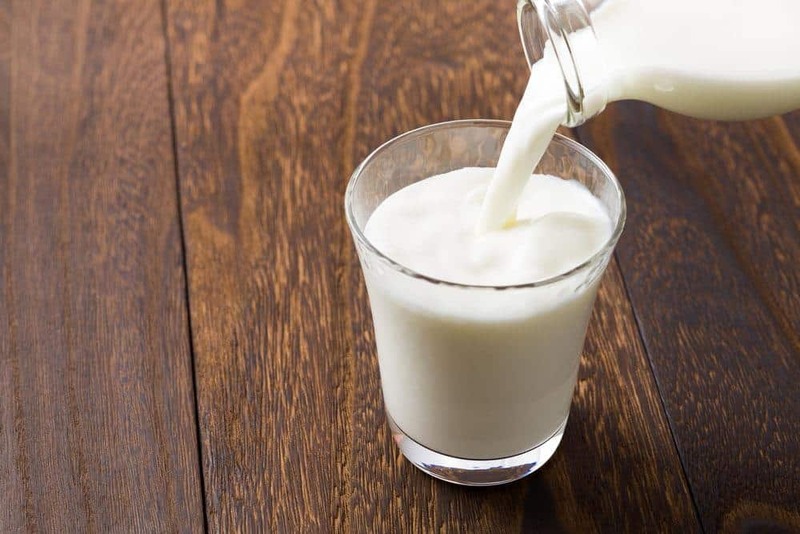 Milk prepared in this way can be stored in the refrigerator for up to one week. 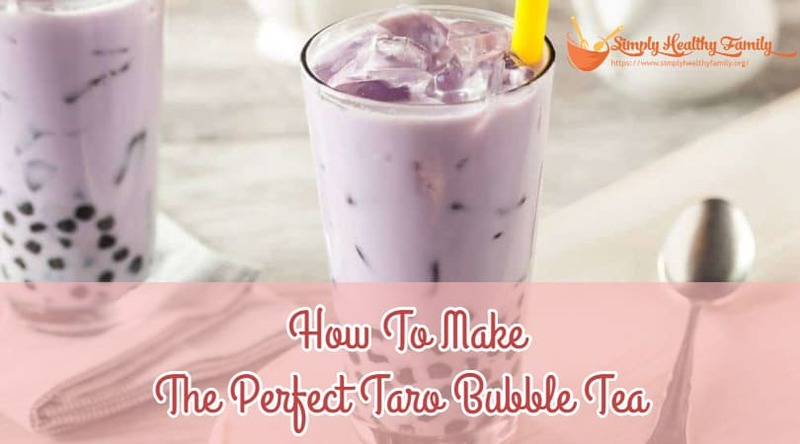 Now that you know everything there is to know about taro and bubble tea, you are entitled to learn the fine art of preparing the taro bubble tea, but first, the ingredients. ● Pour five cups of water into a pot. ● Add the pearls and sugar to the pot and boil for about four or five minutes over medium heat. ● Drain and rinse with cold water. ● Pour the milk, put the ice and taro powder into the blender, and blend until smooth. ● Mix with tapioca pearls. Taro bubble tea is the perfect refreshing beverage you can serve at any time. Although many people think it is complicated to prepare, it is in fact, quite easy, as you had the chance to read. Now all you need to do is to put all this theory into practice and start cooking. Enjoy.